Creating A 3-Stage Approach For The FAST Relief Of Male Yeast Infections - YeastInfection.Org by Eric Bakker N.D. Here is a quick solution that will give you almost instant relief from your male yeast infection in a matter of hours. Follow each of the three steps in succession for the best results. You will be pleasantly surprised at just how amazingly effective this 3-stage protocol is. Please read the 3-stage FAST relief plan for female yeast infections to get additional information. Expect great relief (but not a cure) within 12 hours. Follow 3-stage FAST relief plan for male yeast infections as often as you like. Commit yourself to following the protocol for ninety days (3 months). Have everything in house to start the protocol. Avoid prescription creams, antibiotics, and any drugs where possible. Follow my protocol carefully; don’t deviate from the outline too much. 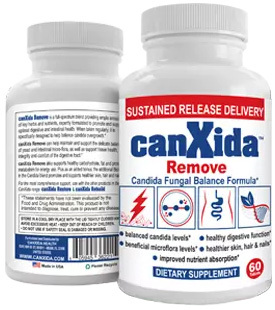 Follow the Candida Crusher Program simultaneously. Be careful with sexual relations, ensuring excellent hygiene at all times. Tell yourself that you will come right; it is only a matter of time. Positive self-talk will get you through at times when you feel down. Because it works very well and gives immediate relief. The three stages are best fol­lowed in succession, try not to skip any stage, and you can increase or decrease the duration of each stage depending on how much time you have, the severity of the condition and your experience level of using this effective protocol. Stage 1 Reduce Inflammation, Wipe Out Bacteria and Yeast Infections. Stage 2 Cleanse and Restore, Return Acid/Alkaline Balance to Normal. Stage 3 Soothe Irritation, Calm Itching and Burning Skin. I’ll explain each step in greater detail in my separate posts.